Set off the beaten-track and explore the less discovered East! Enjoy Mount Elgon Climbing to the Wagagai peak and enjoy views over the beautiful Karamojong plains! You’ll be received by our representative who will drive you to your accommodation in Kampala. Based on your time of arrival, you will enjoy a city tour in the capital city Kampala. Visit a number of intriguing and historical sites, among which are the Namugongo Martyrs Shrine, the African Craft Village and the Uganda Museum. We as well recommend that you to get your money changed actually today. Dine and slumber at Cassia Lodge. On having an early breakfast depart from Kampala to Jinja – the true source of the great river Nile. Along the way you will make stop at the verdant Mabira Forest. There Hikers can enjoy have a walk in the stunning forest, to see the various primates, birds as well as butterflies. 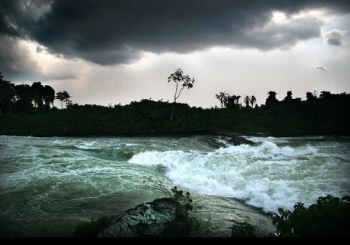 Today you may choose to visit to the amazing Source of the Nile, or the Bujagali Falls, or float down the challenging rapids or decide to relax by the shores of the great Nile. Dine and slumber at The Haven. In the morning leave Jinja for the less explored east driving through Mbale a lively town of the foothills of Mountain Elgon. This place is rich with heritage and interesting culture. Along the way you will enjoy great views of the Sipi falls, the mountain and various homesteads. You will have lunch in Mbale, after which you will hike to the beautiful Sipi falls; going through the banana plantations, local homesteads, maize fields and ascend the cascading falls. Dine and slumber at Lacam Lodge. Following a delicious breakfast you will move to Kapkwata at 2190 m, and there you will begin your hike, pursuing the Kapkwata Trail. This is a picturesque route going through the moor, bamboo as well as heath land, reaching the Piswa Camp at 2850 m. dine and slumber at Piswa Hut Campsite. Hike up to the rim of the caldera through beautiful columns of the most rare and endemic plant species like the giant Lobelia Elgonensis. You will marvel at the beautiful slopes of Mountain Elgon and even see the wild Everlasting flowers. tour the hot springs as well as the Suam Gorge prior to moving down to the Hunters Cave Camp (3850 meters). Dine and camping at Hunters Cave Camp. after breakfast ascend to the top of the caldera up to the Wagagai Peak (4321 meters). Descend thereafter through the Jackson summit (4200 meter) and the Jackson pool to arrive at Mude Cave Camp at 3500 meters. 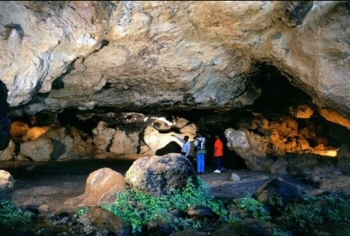 Dine and camping at Mude Cave Camp. After breakfast, descend through the Sasa trail up to Budadiri and then return back to Mbale town where you will have lunch before driving back to the capital Kampala to relax and think about your great adventure to Uganda’s second highest peak. Dine and slumber at Cassia Lodge. Basing on the time of your departure flight, you will have some time to shop for souvenirs in Kampala or visit the Uganda Wildlife Education Centre in Entebbe before being transferred to Entebbe International Airport for your departure flight.